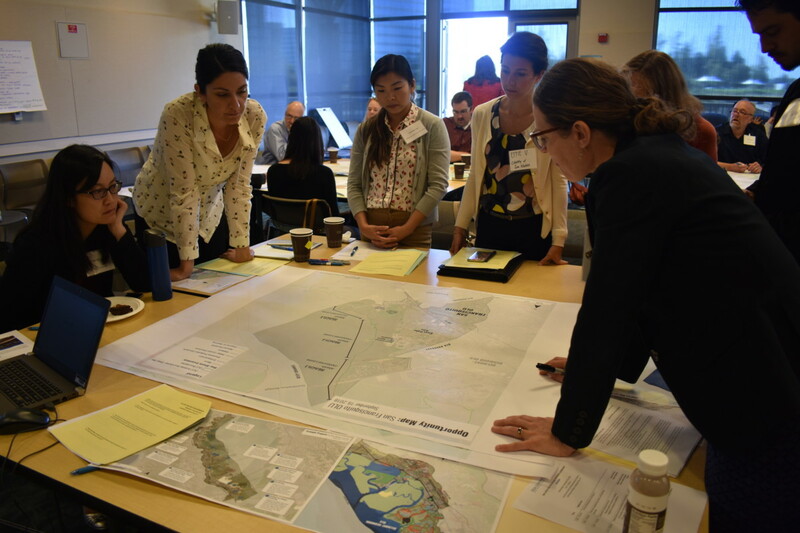 SeaChange SMC is working in partnership with Stanford’s Natural Capital Project (NatCap) and the San Francisco Estuary Institute (SFEI) to explore and evaluate a menu of nature-based sea level rise strategies for the County’s Bay shoreline. 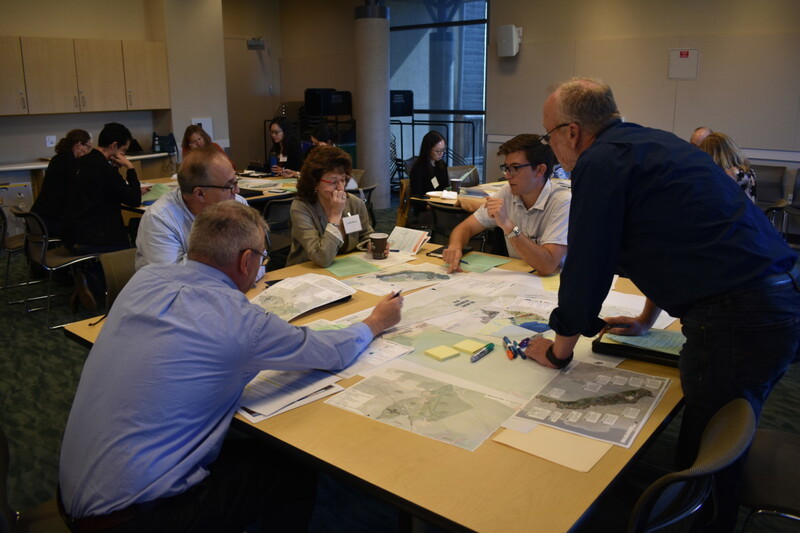 This science-based approach focuses on identifying the feasibility of nature-based strategies along the Bayshore and evaluating the trade-offs between different approaches. 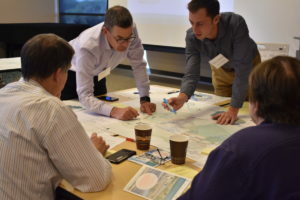 The project builds off the work SFEI has done to establish shoreline planning areas for sea level rise, or ‘Operational Landscape Units’ (OLUs). Nature-based strategies protect shorelines from coastal flooding by creating, restoring, or emulating natural coastal features, such as wetlands, dunes, or reefs. These strategies reduce erosion and mitigate storm surge, wave action, and still-water flooding associated with coastal flood events. They are also known as naturebased features because they mimic natural coastal features and provide habitat, water quality, and ecosystem value. What are Operational Landscape Units? Operational landscape units (OLUs) are areas of the shoreline extending from subtidal (i.e. areas below the level of low tide that is always underwater) to upland areas that are of sufficient size to capture the dominant physical and ecological processes that define local natural landscapes and habitat characteristics. OLUs cross jurisdictional and traditional decision-making boundaries, and represent areas with shared geophysical and habitat characteristics suited for particular sets of adaptation strategies. 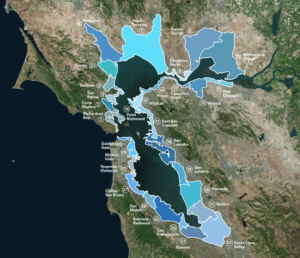 OLUs have been defined for the whole Bay in a recent project undertaken by SFEI for the SF Bay Regional Water Quality Control Board (RWQCB). Read about the four key phases of this project. 1. 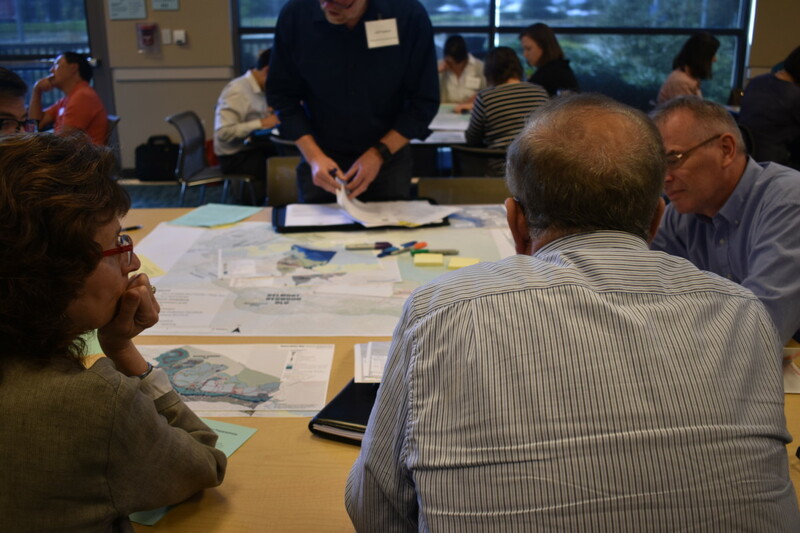 Identify OLUs for San Mateo County and assess sea level vulnerability across each unit. As part of this step, SFEI identified the five San Mateo County OLUs two of which overlap with neighboring counties. The next step is to evaluate the vulnerability of different land-uses, assets, and critical facilities in each OLU, building off the results of the Sea Change Vulnerability Assessment. This includes mapping highways, rail lines, and other critical assets that span multiple OLUs. The goal of this step is to identify the opportunities and constraints for sea level rise planning. 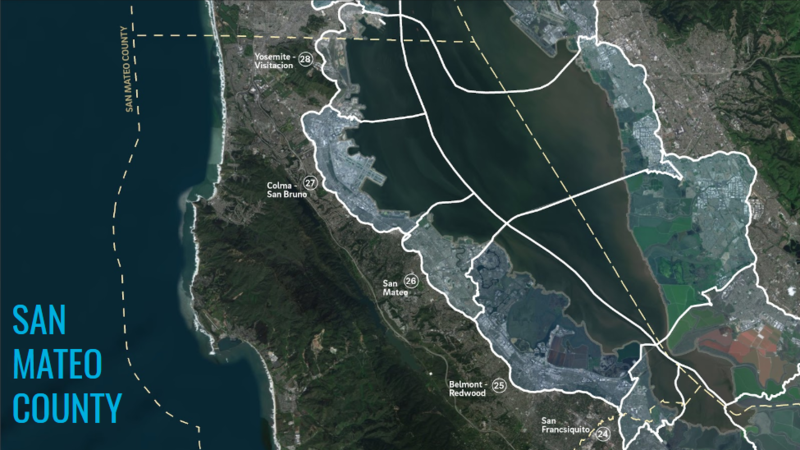 Shoreline protection strategies in San Mateo County may include natural options, such as wetlands or marsh restoration, as well as nature-based engineered approaches, such as horizontal levees. 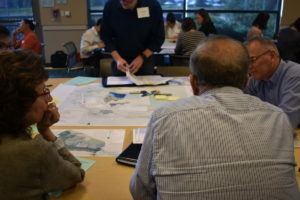 This step will identify those approaches that are most suited to the different OLUs in San Mateo County through a stakeholder-driven process that considers values, social, and cultural context, ecological and hydrodynamic processes, and other opportunities and constraints within that OLU. 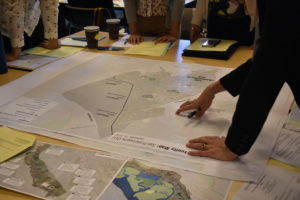 This step will craft several potential scenarios for the future shoreline of San Mateo County that incorporate strategies identified in the previous step, based on ongoing and planned projects in the County, as well as other opportunities, constraints, and values identified by County stakeholders. This step will use an ecosystem-services approach to explore the key trade-offs between the different strategies identified in the previous step. In particular, the focus will be to quantify 3-5 co-benefits associated with different strategies (e.g. recreation and tourism, shoreline protection, carbon sequestration, stormwater retention, etc.). These can be used alongside other more conventional criteria at the OLU scale to inform decision making. Learn more about past stakeholder meetings. 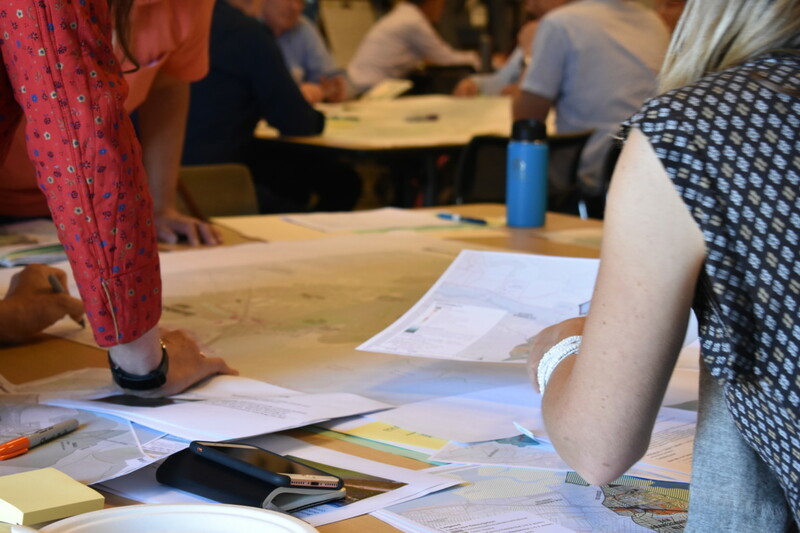 Learn about past stakeholder meetings below and stay tuned for more information about the next stakeholder meeting in November 2018. 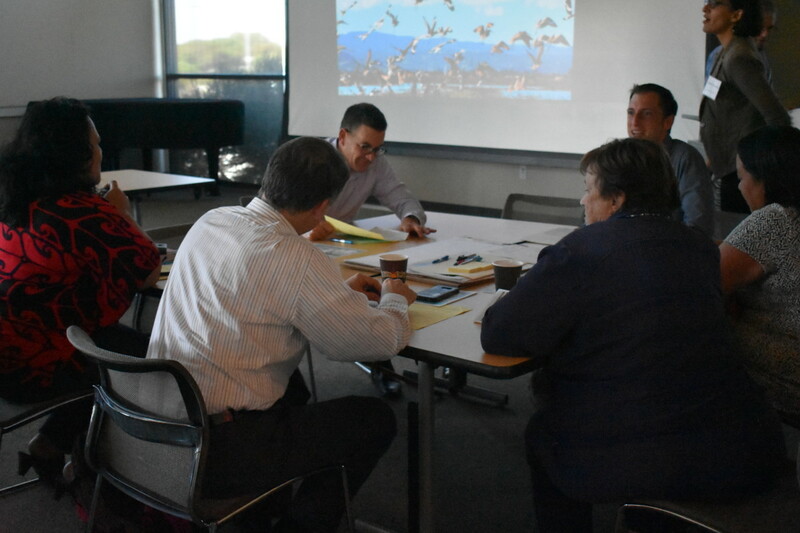 This project was first introduced at the SeaChange SMC Stakeholder meeting. 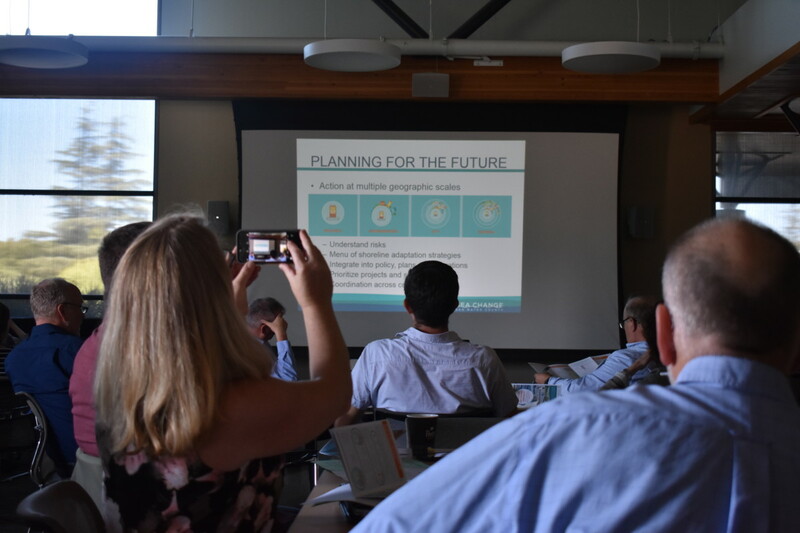 Click here to view the Project Introduction Presentation, which includes the objectives, rationale, strategies, and next-steps for the project. Key stakeholders from the five OLUs convened in September 2018 to explore adaptation strategies. Below are the materials from that meeting. Maps: Click below to download the Land Use, Vulnerability, and Opportunity Map developed by SFEI for each OLU. Key stakeholders from the five OLUs convened in November 2018 to explore adaptation strategies. Below are the materials from that meeting.